It was raining in the charming historical centre of Kosice, but that didn’t deter the singing fountains one little bit, getting on down as they were, to the sounds of ABBA drifting across the small park. Actually, to call them singing is a little bit of a misnomer, as they don’t sing at all, more like dance really. And it seems they have varied musical tastes, with a classic symphony coming hot on the heels of Mamma Mia and the fountains responding accordingly, changing their patterns to complement the gentler swells. 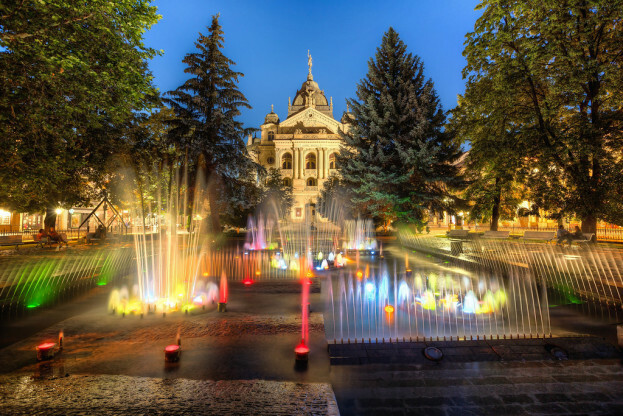 The singing fountains are at the epicentre of Kosice’s wonderful medieval old town on Main Street, just across from St Elisabeth, its glorious gothic cathedral and surrounded on all sides by historical buildings now lovingly restored to their colourful former glory. Whilst Bratislava lords it as the most popular city in Slovakia, itself a country struggling to compete with its former sovereign sister The Czech Republic, Kosice, Slovakia’s second city, is at last emerging as a viable contender. 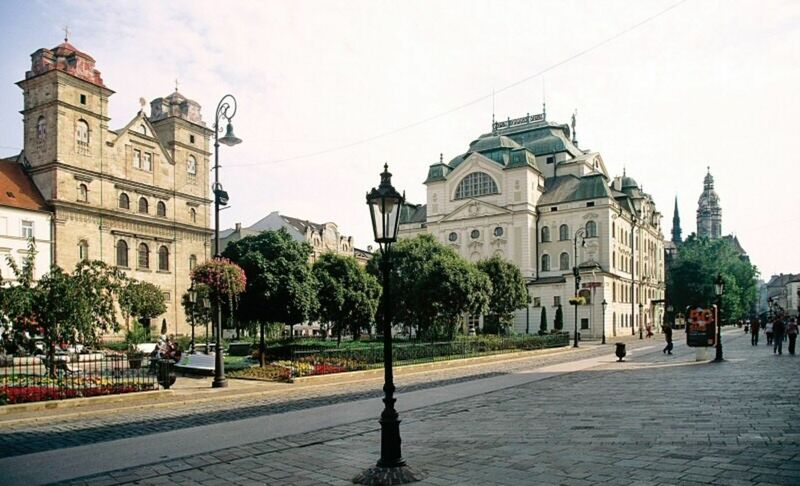 Lying in the far east of the country, not far from The Ukraine and Hungarian borders, Kosice used to be an industrial backwater under the former Soviet regime, but since the ‘velvet revolution’ in 1990 it rediscovered its historical past, and emerged as the European Capital of Culture for 2013. Industrial it might be, (US Steel is still its biggest employer) but It holds the second oldest marathon in the world each year, it has the biggest church in Slovakia, it was at one time, one of the most important cities in Hungary and it has a few famous former residents: Martina Hingis, the legendary writer Sandor Marai and none other than a certain Andrej Varchola, otherwise known as Andy Warhol, whose family came from near here. 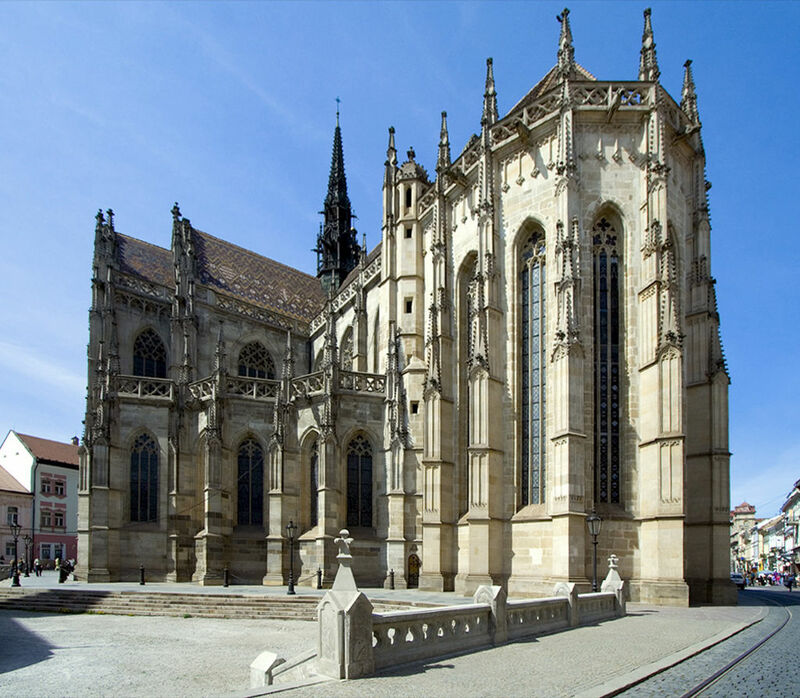 One of Kosice’s great strengths is its diversity, lying so close to the clutches of the Austro-Hungarian Empire. It has a real mix of Hungarian, German and Slavic influences that manifest themselves in its language, food and culture. And talking of cultures, it was also an important Jewish city before the Nazi occupation in WW2 extinguished most of its Jewish community. 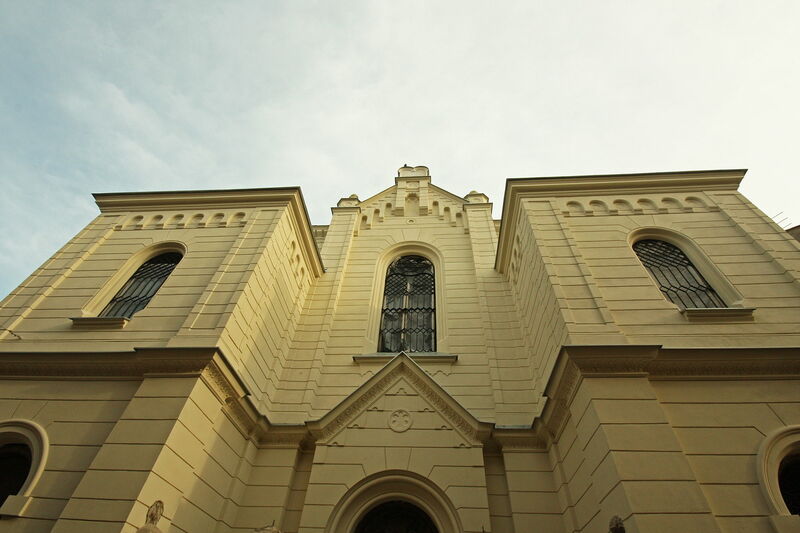 The old town still offers up many remarkable clues from its Jewish past including three synagogues, now haunting reminders of better days gone by. Marek owns Le Colonial, an excellent upscale restaurant close to The Hilton, one of Kosice’s few luxury hotels. “I remember when I had to line up to buy furniture” he told me talking about the soviet days “waiting for hours just to buy the same old stuff everyone else was getting. It was a very depressing time”. These days of course he is one Kosice’s many successful entrepreneurs and life is now very different. “We are learning very fast” he pointed out “our city has so much potential. It’s a very exciting time”. Erica Garagova agrees, she is the owner chef of Villa Regia a fabulous restaurant specialising in traditional Slovak food such as Macanka a mushroom soup with sausage bacon and croutons and of course the ubiquitous national dish bryndzové halušky, small potato dumplings similar to gnocchi in a cream sauce with crispy bacon on top. Kosice’s old town is a warren of cobbled streets, each one uncovering another hidden treasure or two. I came across a remnant of its hammer-and-sickle past at a tiny bar straight out of the cold war called Krcma Nositel Radu Prace. It serves the cheapest beer in town while portraits of Lenin and Marx peer down from the peeling walls. The portrait of Queen Elizabeth next to them was a little disturbing though! This is a city of culture, theatre, history and of course gastronomy, with plenty of outdoor cafes and restaurants lining Main Street in the hot summer months. 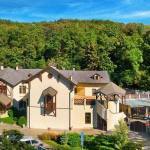 Away from the town centre up in the fresh air of the nearby Bankov hills, the four star Hotel Bankov has a tradition of hospitality going back 140 years. This famous old hotel, once faded has been transformed in the hands of another of Slovakia’s young entrepreneurs, and now has all the trappings of a luxury hotel with chic modern decor, free internet and an excellent restaurant. It is a member of the Historic Hotels of Slovakia an association highlighting some of Slovakia’s finest historical hotels. 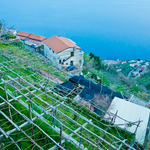 Joining in with the locals at a wine and food festival, the old town came alive with music and celebration. It was a great opportunity to sample delicious Slovak specialities prepared by local chefs and of course a cold beer and a glass of the mysterious Kosice Gold, a drink whose ingredients remain a secret but who cares as long as it tastes good. With such a torrid past, you would be forgiven for thinking that perhaps this would be city of depressed people, and in some ways their demeanour may seem a little despondent. However, inside they celebrate and rejoice their freedom and today, Kosice is a hidden gem that simply demands to be visited. How do I get to Kosice? Wizz Air operates 4 direct flights per week on Monday, Wednesday, Friday and Sunday. Kosice to London Luton with fares starting from € 29,99 (one way, taxes included).